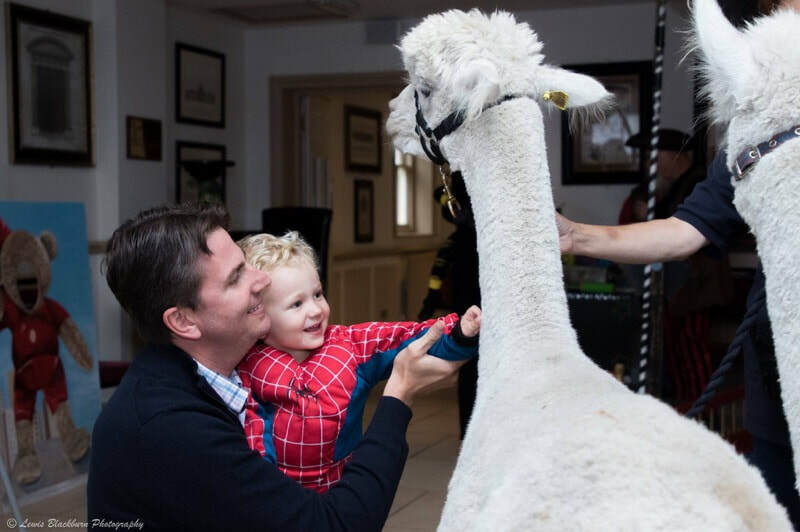 ​Alpaca Adventure has been featured in two local newspapers recently. ​First lambs arrived today a lovely twin doing well. It is with the greatest sadness that I have to announce the death of Copse View Lightening at the age of six and a half. He was unexpectedly taken ill and passed away very quickly. I will miss him very much as I delivered him myself. 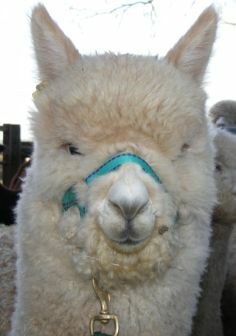 He was one of the first alpacas born here on the farm. 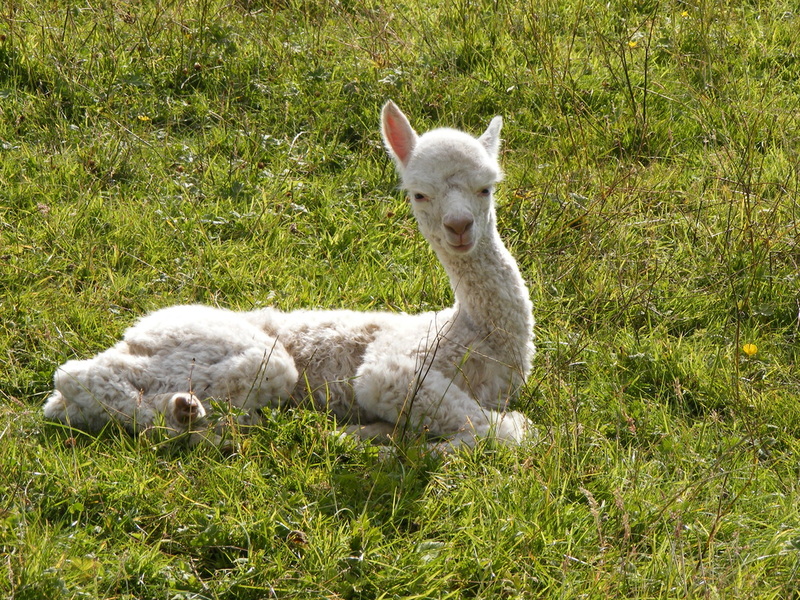 Copse View Holly has given birth to her second cria. 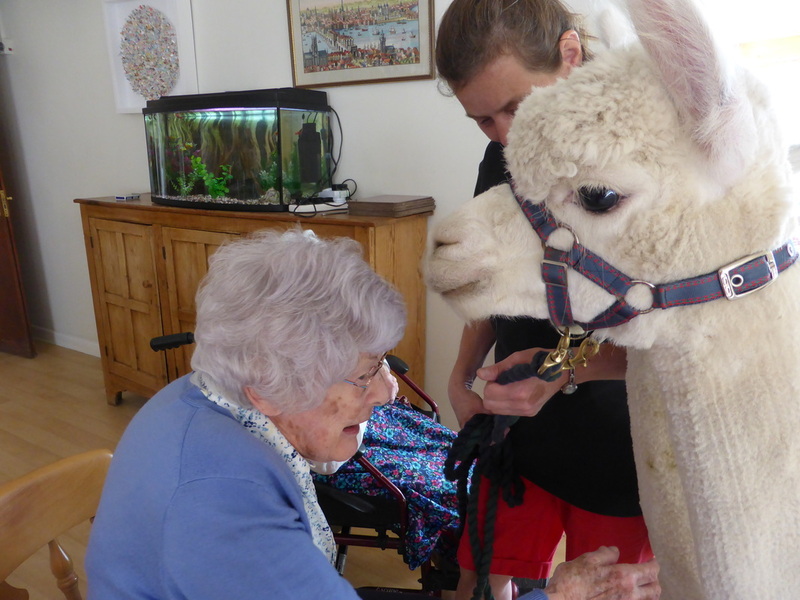 On veterinary advice Copse View Oliver has had to retire from alpaca walking and care home visits due to a problem with the patella on his hind legs. 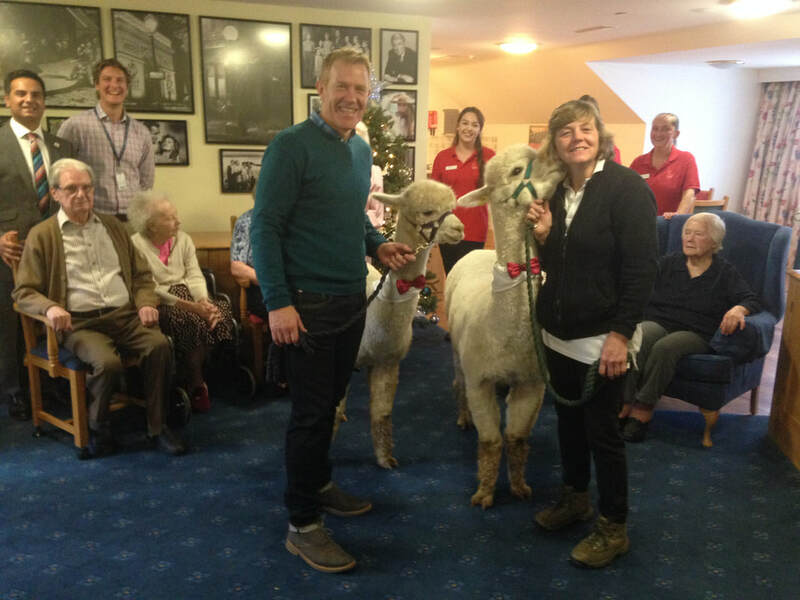 Having enjoyed his fame appearing with Adam Henson on Countryfile in December. He will be staying on the farm and will still be able to meet people. 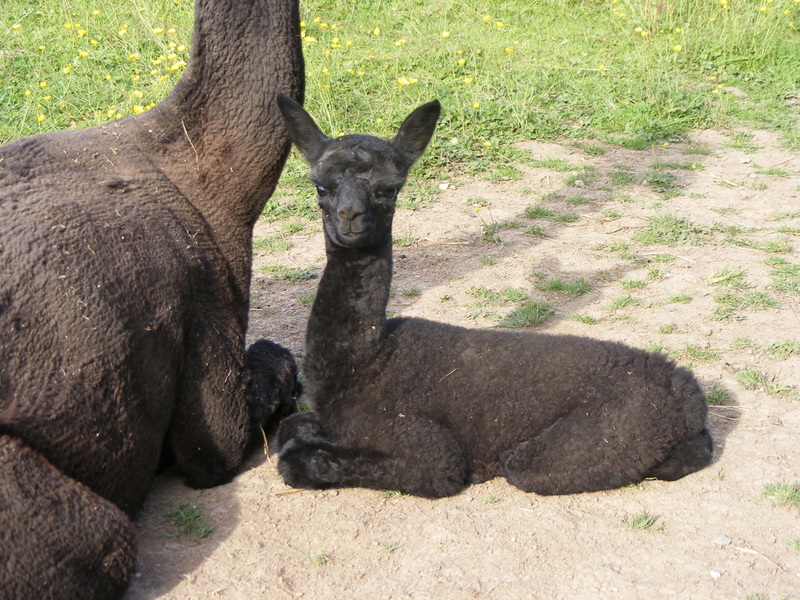 Copse View Black Beauty has given birth to my first cria of the year a beautiful girl. Had a great show with lots of regular visitors to the farm coming to say hello. Unfortunately No photos for this show. ​Not sure the disguise is working!! The sheep are enjoying extra feed in this weather. ​They were white sheep for a while this week!! The girls aren't very impressed with this snow! ​Hopefully the water will start running again today so no more buckets of water to carry out to all the animals. It is with great sadness that I have to announce the passing of Grace my beautiful Kune Kune pig at the grand old age of 16 life was just too much for her and she stopped eating so I had to make the decision to have her put to sleep. The last of my beautiful pigs to go, she will be greatly missed here on the farm as I have had her since she was 3 years old. Adam and the team were great fun.It was an exciting 2 days for us. ​Lightening and Hurricane attended the Teddy 20 Super Heroes Day. Lightening got into the spirit of things!! The first lambs arrived in the early hours of this morning. their dark green bow ties and neckerchiefs. We had another visit to The Old Rectory in Stalbridge. Oliver and Teddy Edward were warmly received and we all had an enjoyable time. Thelma becomes our poster girl! We visited The Old Vicarage in Leigh for the second time.Thelma posed with the poster that she had kindly agreed to being on. We had a wonderful time with Thelma and all the other residents. ​Still going strong with extra apples as a birthday present. ​The Cedars in Landford had a Christmas Fair. Hurricane and Lightening again dressed up to attend. even Father Christmas was there. Lightening and Hurricane put on Christmas finery on Sunday and spent a wonderful time at The Larmer Tree Christmas Fair.Oliver and Sirocco were there on Saturday. We even took several strolls through the garden where we met some lovely people. 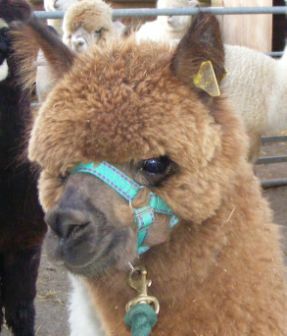 Copse View Storm Cloud has been sold and gone to live with 2 other alpacas in a lovely new home. ​We were invited to join Amy at The Forum School in Shillingstone to help celebrate her 18th birthday. We were also lucky enough to meet more of the wonderful residents at the school. ​We were able to visit some residents in their rooms. Lily one of our fabulous Kune Kunes. At the grand old age of 14 and 3/4 life suddenly caught up with her. She is greatly missed by us all especially Grace her sister. Copse View Teddy Edward gaining a 1st in Adult Light Male Huacaya and retaining his Champion sash for another year. Copse View Electra 1st in Adult BrownFemale and retaining her reserve champion rosette too. Jo and Jeff paid us a visit and Lightening and Wellington enjoyed a wonderful walk with the fantastic power chair that Jo has. It's a first for us all. 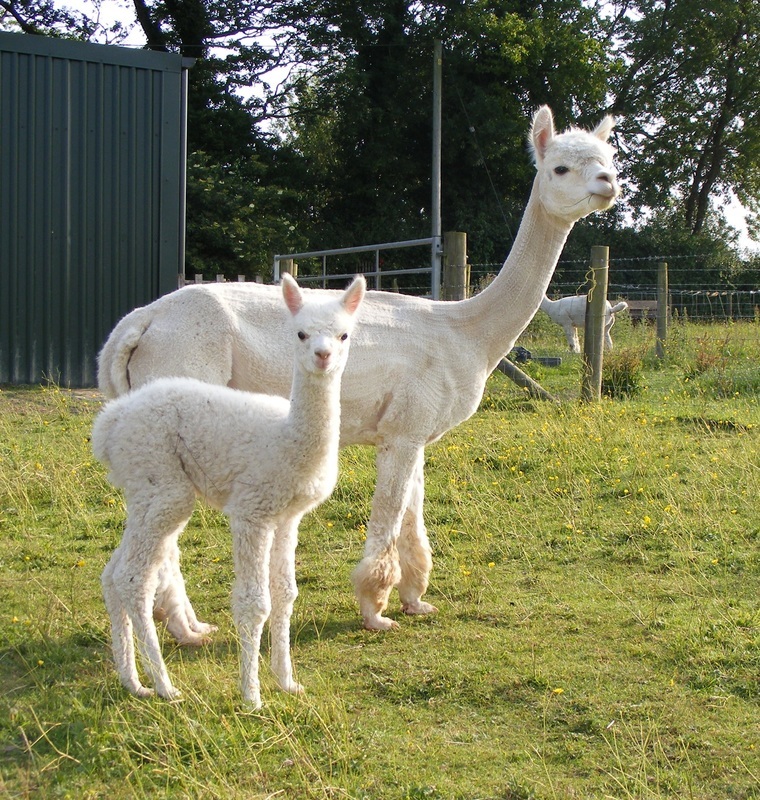 Wednesday 13th July Great excitement Mary produce a beautiful cria, her first boy. The Old Vicarage in Leigh. 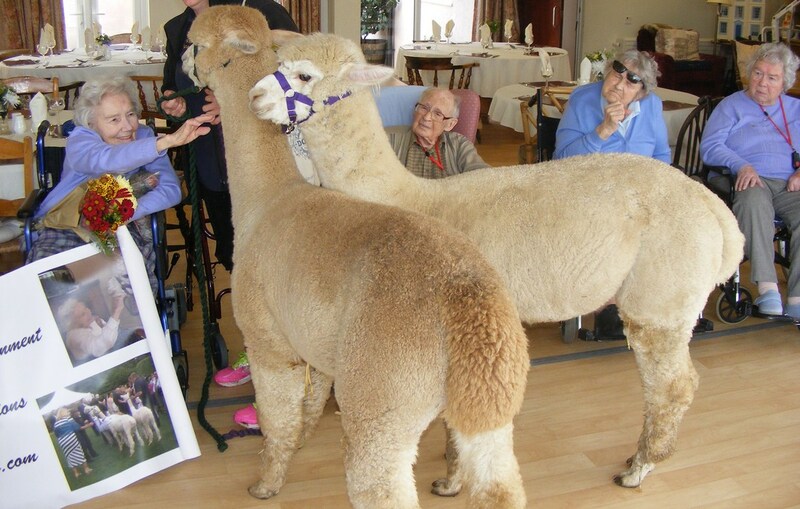 Hurricane was quite surprised to see another alpaca visiting the same bedroom!! ​In the afternoon they visited Castle Hill House in Shaftesbury where they took a little trip in the lift. 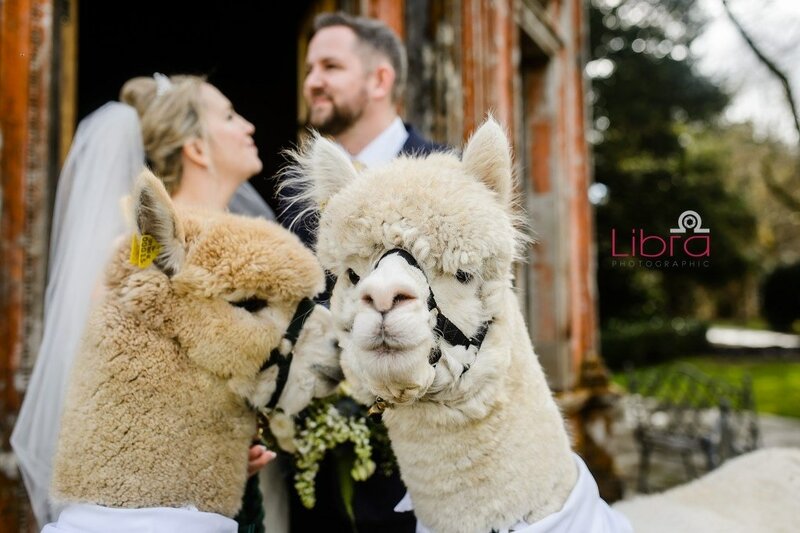 The boys dressed in their best neckties and bow ties to attend a wonderful wedding at the Larmer Tree Gardens in Tollard Royal. The guests were delighted with the bride's surprise. ​from this to this. Doesn't she look cute? ​We will come to your wedding see Wedding page for details. We couldn't fit in the fantastic photo booth caravan so Oliver and Hurricane posed outside. This is a National Show held in Cambridgeshire. It is the first national show we have been to. This was a fantastic show for us as a lot of the top breeders were at the show. 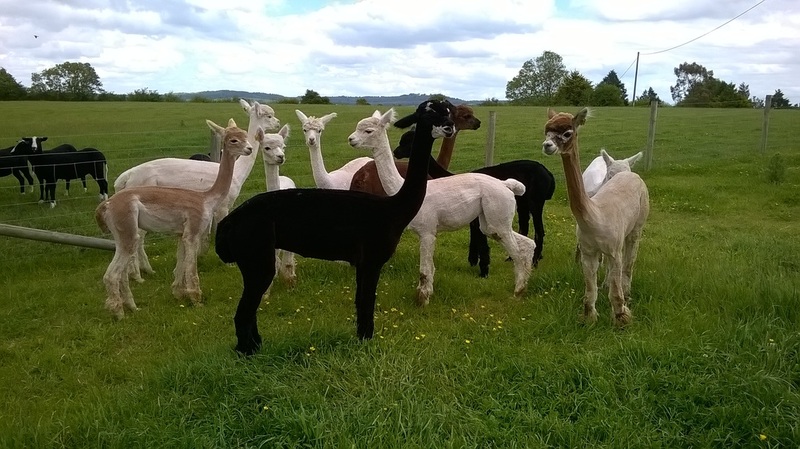 Copse View Holly's Huacaya Black Fleece 24-48 months class. Wow what a day we had! We took 5 to the show and look at the results we had. 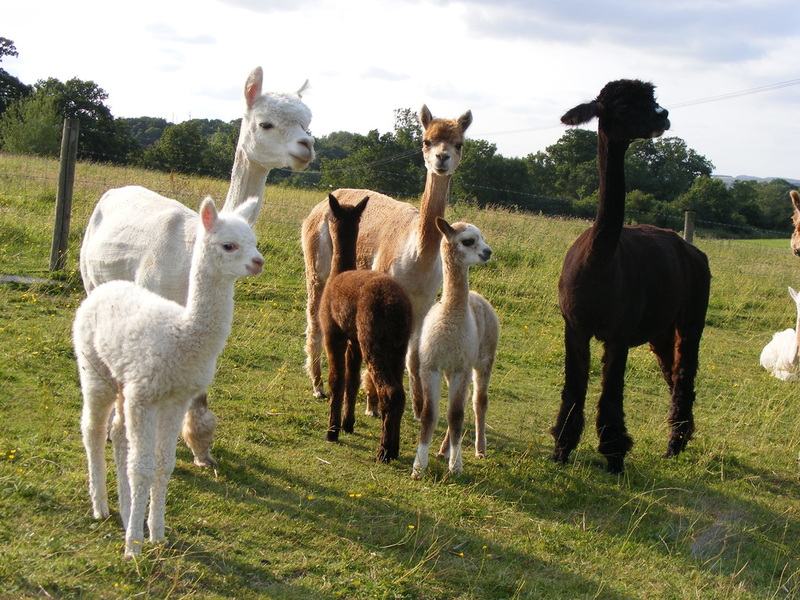 6th June last year's cria have been sheared for the first time.They look very different without their fleeces. Monday 4th May North Somerset Show Wraxhall nr Bristol. 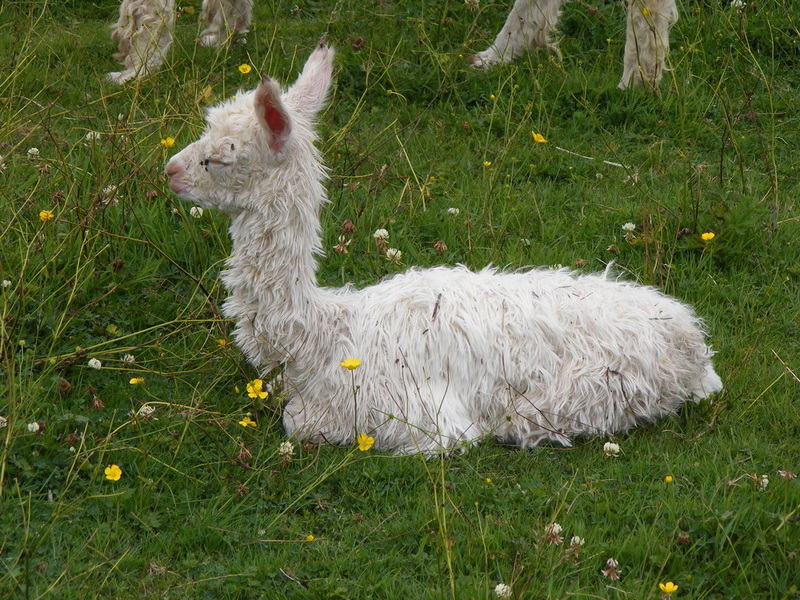 We showed 4 of our younger alpacas for the first time. 1st in her class and reserve champion Light Fawn Female.